Playing away is always challenging when it comes to cricket. Winning overseas is even more challenging. For any team to be formidable, a right combination of solid batsmen and attacking bowlers is required. But, the most important role is of the captain of the team. If the leader leads from the front, it sends a strong message to other players to play tough. Setting an example for their teams, here is the list of Indian captains who have scored most Test runs on an away tour. India toured England in 1990, with a quite younger team as compared to their previous successful tour of 1986. India had won the Test series in 1986 2-0 but hadn't won a single away Test since then. With the likes of Gavaskar and Amarnath long retired, the batting responsibility was on the then Indian skipper Mohammed Azharuddin and the 17-year-old Sachin Tendulkar. The first Test was at Lord's. In a Test match which is known for Graham Gooch's 333, Azhar scored a brilliant hundred in the first innings and topped the Indian scorecard. With India facing the threat of follow-on, he played attacking shots, against a quality bowling unit and completed his century off just 87 balls. He topped the Indian scorecard with his score of 121. In the second innings, he scored a fighting 37 runs as India lost the match by 247 runs. But, had it not been for Azhar's innings, the defeat would have been quite worse. Moving on to Manchester, Azhar scored 179 in the first Innings, leading India from the front. An innings full of compassion, grit, class, was however followed by a poor 11 in the second innings. 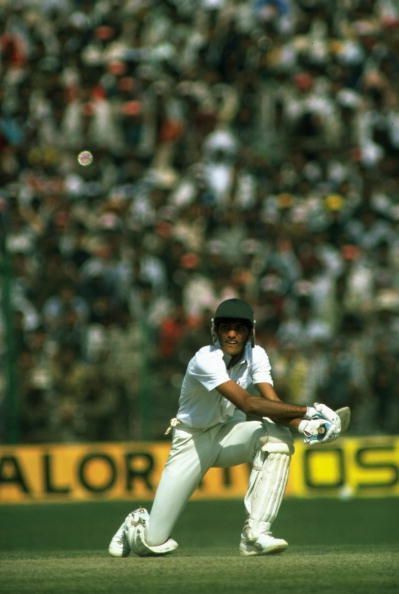 In the third Test at Oval, Azhar scored a solid knock of 79, followed by the centuries of Ravi Shastri and Kapil Dev. India was able to draw this Test, however, losing the series 1-0. In the 5 innings of the three Tests, Azhar scored 426 runs with 2 centuries and 1 fifty. He averaged 85 in the series and was India's leading run-scorer. Later on, that year, he went on to become the Wisden cricketer of the year.